By Dev K. Mishra, M.D. 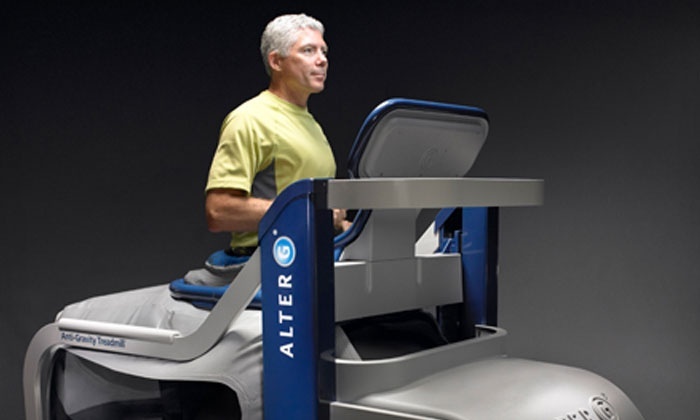 Chief Medical Officer, AlterG Inc.
At AlterG, we are committed to proper scientific investigation of the potential clinical and athletic performance benefits of using our device. We are pleased to have multiple studies in clinically relevant areas currently underway by independent researchers, at highly reputable institutions in the U.S. and Internationally. Out of respect for the integrity of the scientific process, we will not cite specific authors or institutions until the studies have been published in peer-reviewed journals, presented at professional meetings, or until the author gives us permission. In the following sections, I will outline for you our new presentations or publications, previously published or presented research, present in aggregate format findings from studies already completed but not yet published, and a brief overview of planned studies and questions to be answered for the remainder of 2013. Additionally, I will outline the other available forms of clinical material, such as Case Reports, Case Series, Clinical Protocols, White Papers, and Clinical Guidelines.